Arabella's wedding plans to marry Captain Singh of the Honorable Mars Trading Company are interrupted when her fiancé is captured by the French and sent to a prisoner-of-war camp on swampy Venus. 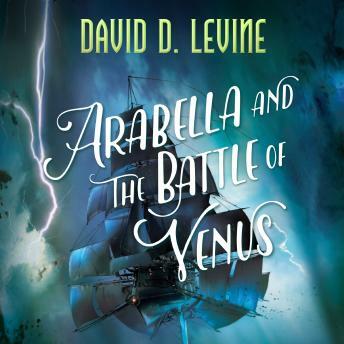 Now, Arabella must find passage to an enemy-controlled planet in the middle of a war, bribe or fight her way past vicious guards, and rescue her Captain. Once on Venus, Arabella, Singh, and Fox soon discover that Napoleon has designed a secret weapon, one that could subjugate the entire galaxy if they can't discover a way to stop Fouché, and the entire French army, from completing their emperor's mandate.